Jamboree and the Southern California Chapter of the Association of Professional Genealogists, are offering research assistance to Jamboree for the 7th year. 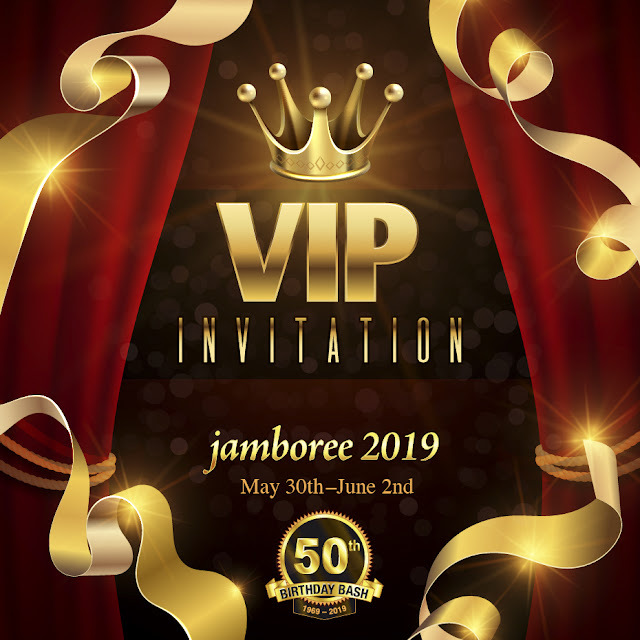 How does Research Assistance work at Jamboree? We need people to help and we need people to sign up to receive that help. 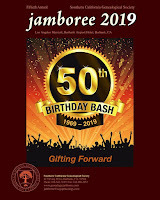 You earn Genealogy Karma as a Research Assistant helping Jamboree attendees. 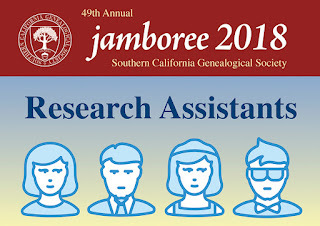 Or, as a Jamboree attendee you can get research assistance from amazing volunteers. 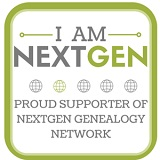 Qualifications: Know something about genealogy and be willing to share your knowledge. You do not need to be board certified or accredited, or belong to SCCAPG or APG, to volunteer. Click here to sign-in and sign-up as an RA Now! 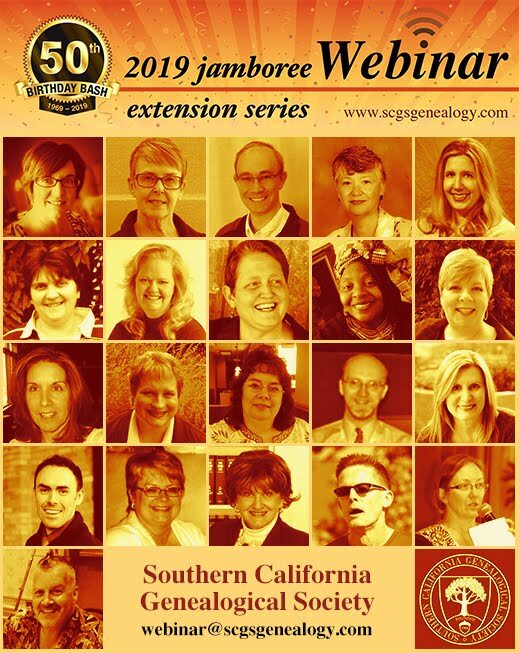 Whether it is basic genealogy or more advanced, please be really specific. Please list each area separately. It is easier for attendees to sign up for your help. Need some one-on-one time with your beginning, intermediate or advanced problem? Need a fresh set of eyes to look at your research and work you’ve done to date? We have Research Assistant volunteer to help you. 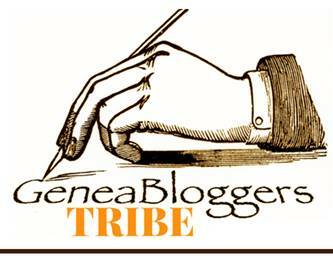 Sign up now for a 20-minute slot. Click here to sign-in and sign-up for Assistance HERE! Stop by the Research Assistance rooms in the Tech Hallway during the weekend and check for availability of walk-in spots for both RA volunteers and attendees. Bring copies of your material or bring your laptop or tablet with your information as an option. Come as organized and prepared as possible for the best help.